Milpitas camps will be held at 3100 Calaveras Rd, Milpitas in the arena at Ed Levin Park. 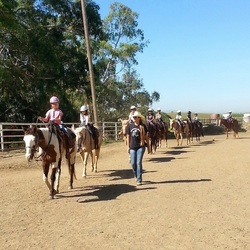 Woodside camps are held at 4040 Woodside Rd, Woodside at Folgers Stable. 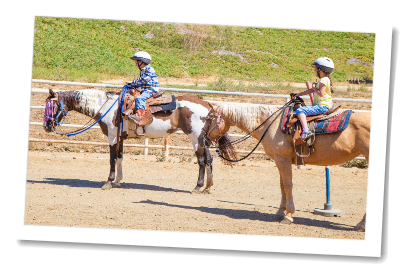 Join our fun-filled vacation and spring/summer day camps at our ranch in Milpitas and Woodside locations. Camps are for ages 6 and up! 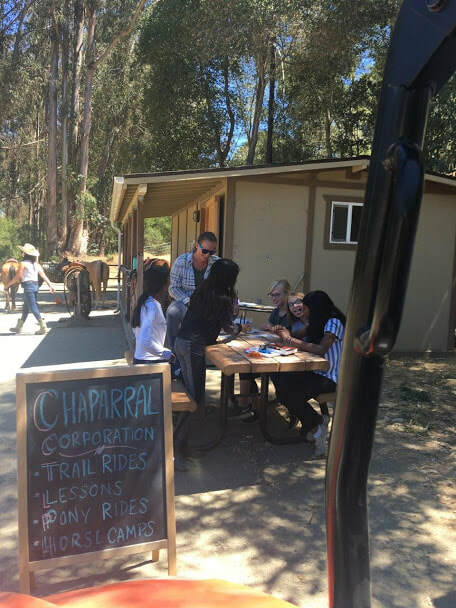 Campers will get a one hour lesson each day, during the rest of the day they'll about things such as horse grooming, horse care, history of the horse, horse anatomy, parts of a horse, how to saddle a horse and much more! Campers will also be entertained with games and crafts. For the riding portion of the day, campers will be grouped together based on experience and skill level. Level 1: Basic seat, walk, and horse handling. Level 2: Walking and posting the trot while staying centered and balanced. Level 3: Sitting trot, direct rein, leg yields, head set and collection. Campers bring their own lunch, sunscreen and lots of water! Helmets are provided. Campers should wear closed toed shoes, layers recommended and long pants for riding.